We'll refund 100% of the product price within 60-days if you're unable to resell our products. Shipping ($9.99) will be added in the next step. 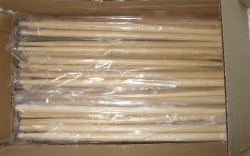 When you checkout, please tell us what stick size you would like (ex. 5A, 5B, 2B, 7A, etc).